The Gandl Bakery and Pastry Shop has been a family business since 1806. Headed by Barbara and Fritz Gandl today, it’s an operation that is steeped in the long tradition of gingerbread baking. The delicious recipes passed down from our ancestors, along with their knowledge of dough and its properties, build the foundation for the unmistakeable taste found in all of our products. We consistently augment our assortment with creative and elaborate delicacies. We fuse the traditional and the modern while using all-natural ingredients. The process of letting the dough set for a lengthy time, coupled with precision workmanship, help develop our gingerbread’s unique aromas. 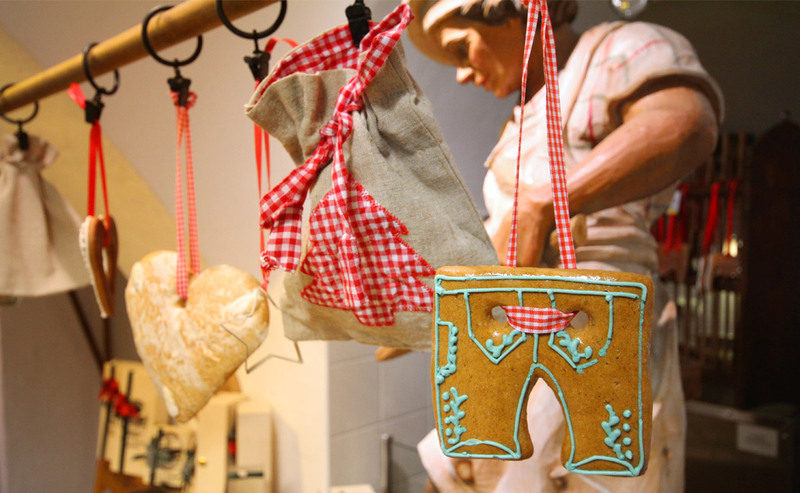 By following old family traditions, we create something that’s one-of-a-kind … The Original St. Wolfgang Gingerbread.